Should you be drinking organic milk? Once you’ve made a choice to consume dairy – whether it’s milk or other products like yogurt, cheese or kefir – the next key question that pops up is whether choosing “organic” is the heathier way to go. To many people, the word “organic” sure sounds like a better choice. But when it comes to milk, the answer may surprise you! The nutrients in milk are the same, whether it's organic or not. But where organic milk differs is the guarantee of no added hormones, and it’s always antibiotic free. The ability to label a product “certified organic” is a tightly controlled federal regulation. All milk contains hormones (including growth hormone) that is naturally produced by the cow. So the key word to look for is "added." Organic milk comes from cows that have never received added hormones of any type, ever. And these cows have also never been treated with antibiotics. If they do get sick, they are removed from the herd, and their milk is not included, even when they have recovered after antibiotics have been completed. These days, regular milk is unlikely to contain any added hormones. Cows are returned to the herd only after they are done with any antibiotic treatment for illness (and that milk is discarded). While not certified organic, some milks are clearly labeled “no added hormones” and “antibiotic free” to provide further consumer information. Regular milk also has strict federal regulations for safety — so it’s a perfectly safe and nutritious choice. If you want the added reassurance of a certified product, choose organic milk, recognizing it’s more expensive. But don’t avoid milk or dairy products if the cost of organic exceeds your budget. You can surely choose regular milk and dairy products with confidence. Pasteurized. This means heating the milk to high temperatures to permanently kill any harmful bacteria, parasites, and other germs. 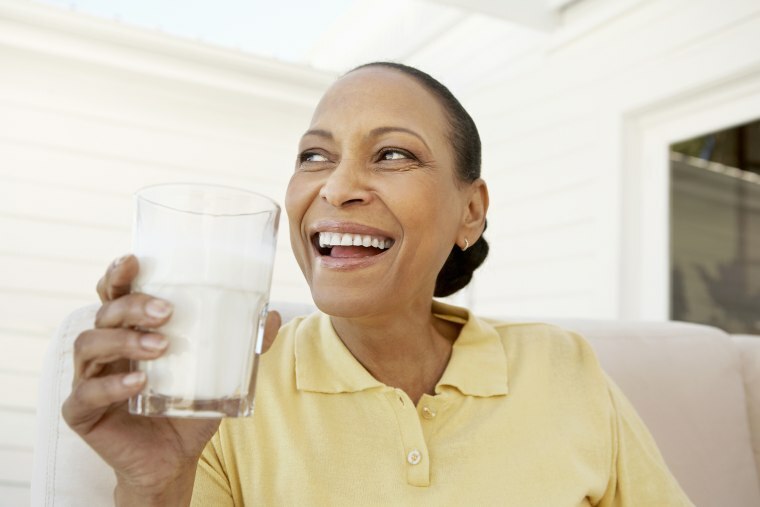 Always drink pasteurized milk — it’s the only way to guarantee your milk is germ free! And skip “raw” milk, and the promise of better nutrition. Pasteurization does not impact the nutrients in milk. And raw milk is the perfect breeding ground for bacteria, which can make you really sick. Homogenized. This means blending all the components of milk (like milk solids, fat globules and proteins) to create the smooth and creamy product we all recognize. This important step gives the right “mouthfeel” without any of the ingredients separating out.